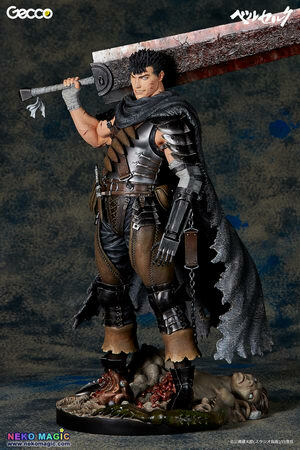 March 25th, 2015 By: GGT Category: 2015/09 release, Figure News. 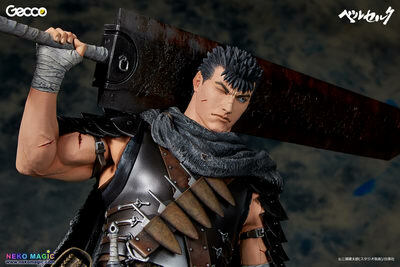 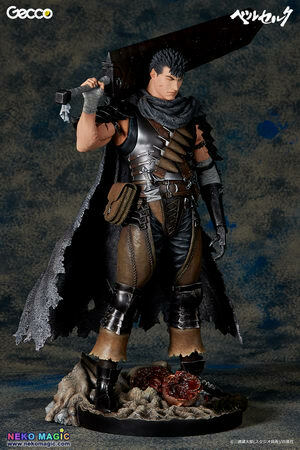 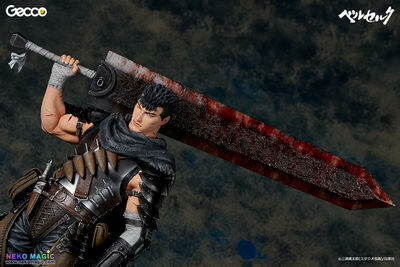 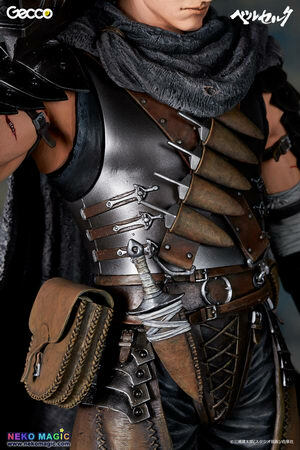 Gecco is going to release the Guts ( ガッツ ) Lost Children Arc The Black Swordsman Ver. 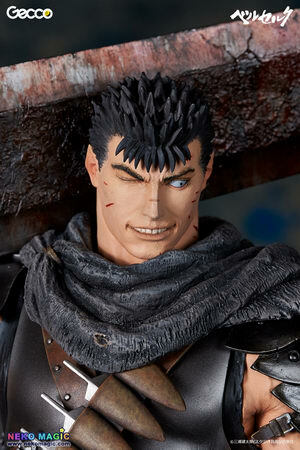 ( ロスト・チルドレンの章 黒い剣士Ver.) 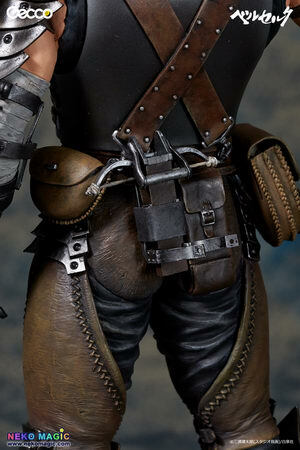 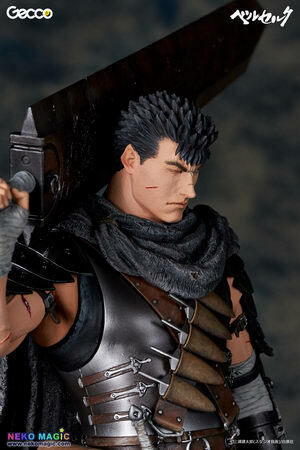 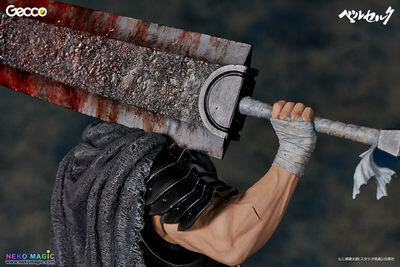 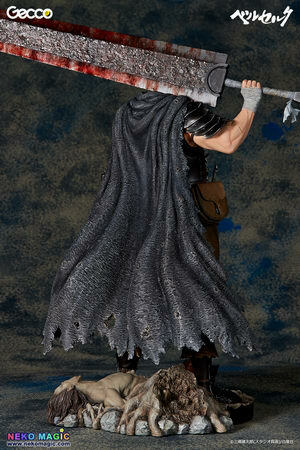 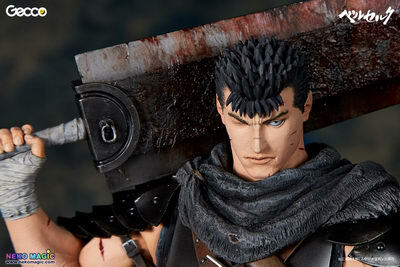 1/6 PVC figure from the manga/anime “Berserk” ( ベルセルク ). 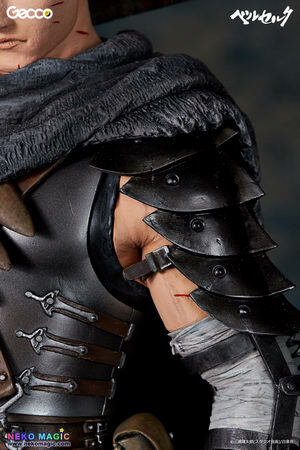 Will be released in September 2015. 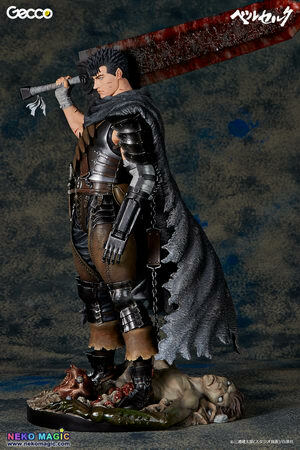 Around 380mm tall, 36,852 yen. 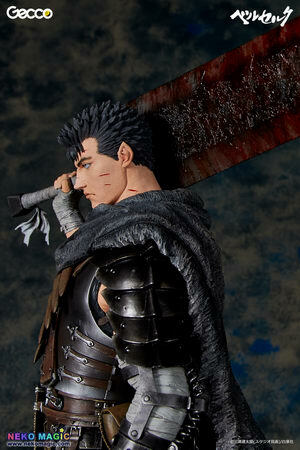 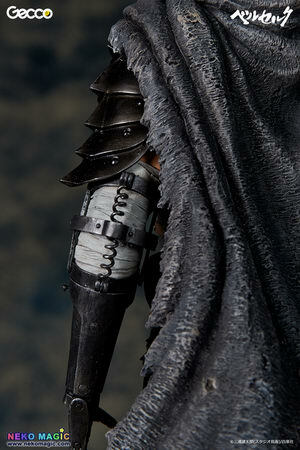 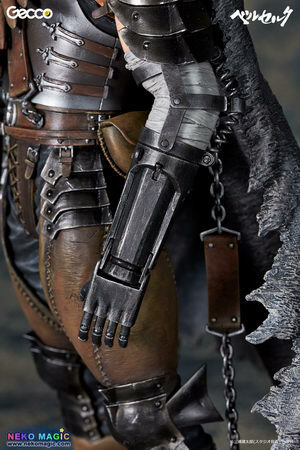 The Black Swordsman “Guts” is recreated as a huge 1/6 scale figure. 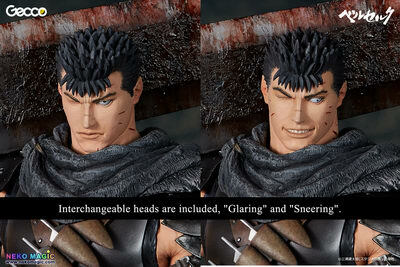 There are 2 heads included, capturing both “glaring” and “sneering” portraits. 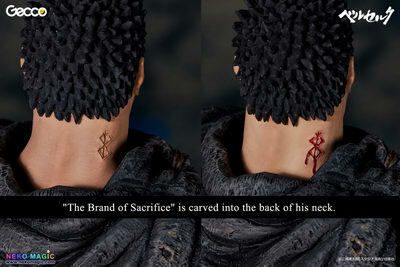 “The Brand of Sacrifice” is carved into the back of his neck. 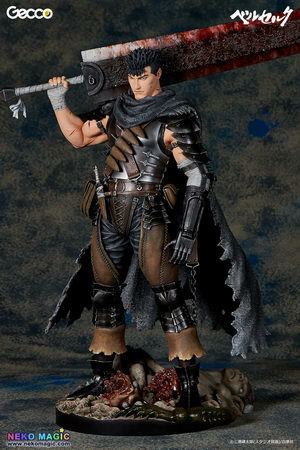 The “Apostle Spawn” cruelly slain, liter the base, a far contrast to the adorable “Puck” and “Behelit” hiding inside the swordsman’s pouch helps express the world of Berserk. 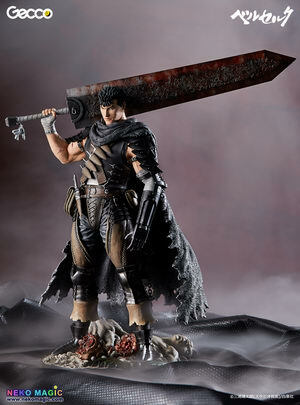 Berserk is a dark fantasy comic created by Kentaro Miura and tells the revenge story of the one-eyed and one-armed swordsman, “Guts,” who wields a giant sword measuring almost his height. 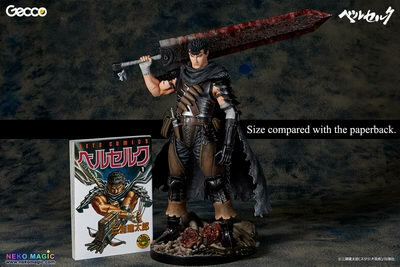 The popular title has been adapted into a variety of different media, from TV anime series, to films, trading cards and more. 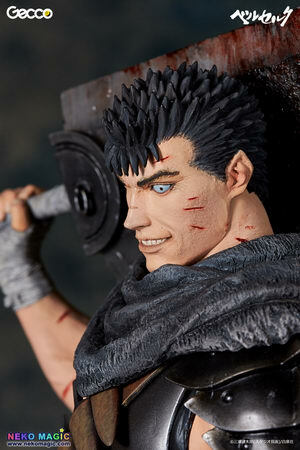 It won the prestigious comics excellence award of 6th Tezuka Osamu Cultural Prize in 2002. 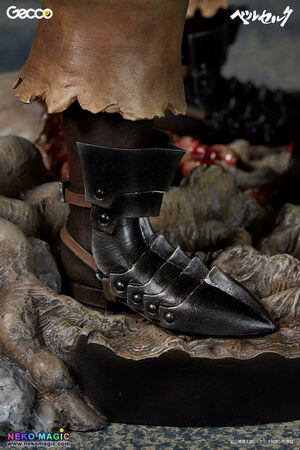 Shinya is a professional sculptor, known for his incredible technique and talent to recreate textures in his sculptures. 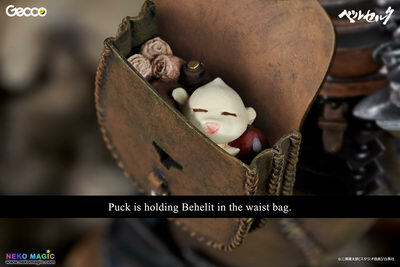 His subject matter ranges from real life celebrities to imaginary creatures and original designs. 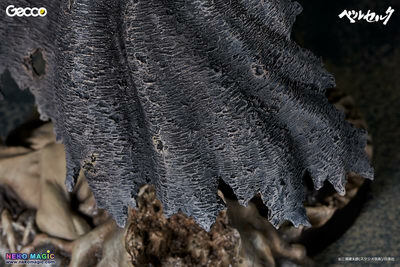 Shinya always captures the true essence of his subjects breathing life into his three dimensional forms. 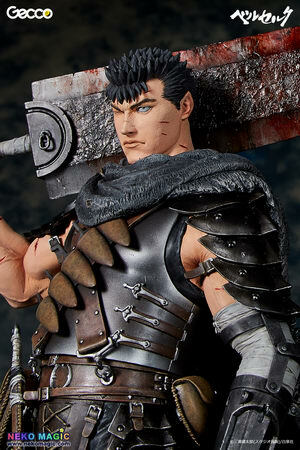 A long time fan of “Berserk” Shinya has sculpted many characters under his private brand, “HEADLONG.” His Berserk statues have been supported by fans and collectors around the world, and now with the release of this statue a lifelong dream has come true. 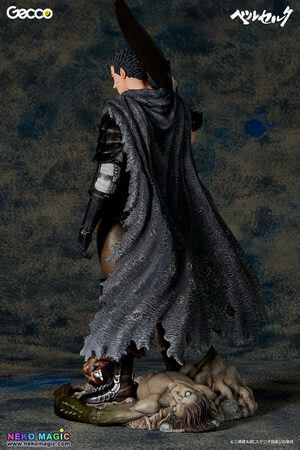 Norifumi is a talented painter who has completed countless paint masters for different hobby manufacturers. 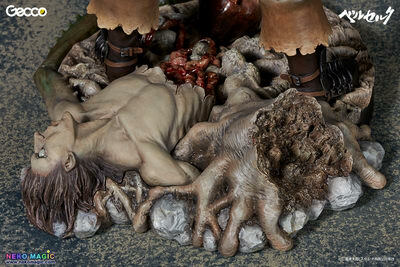 His passion for both creatures and monsters allow him to push his paint work to the next level, capturing incredible detail and texture. 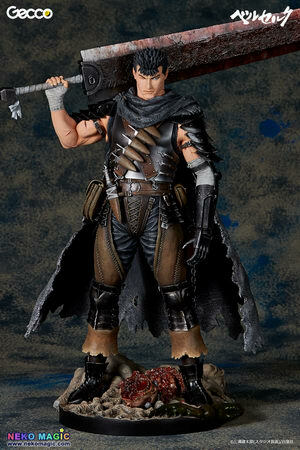 He also writes how to articles building model kits for hobby magazines, and sometimes works on his own original characters.